Thyme Gilcrest is everything that a drug dealer isn't. She's popular, active in school, adored by adults, and at the top of her class. It would be ridiculous to say that Thyme Gilcrest is a drug dealer...ridiculous, but also true! How on earth does a nice girl like Thyme become the go-to girl for every partyer in her suburban school? Very easily. 1. Ashbury High, Thyme's school, seems to have a very complex and unyielding social hierarchy. Does Thyme buy into this hierarchy? Does the social construct exist only at the school, or does it spill over into other parts of her life? How is Ashbury different from your school? How is it similar? 2. Thyme is very careful to make a distinction between the "right" kind of drugs that she sells, and other drugs like marijuana and cocaine. Upon what does she base this distinction? Do you think this line of thought is justified? Is she able to keep the two separate as the story moves along? 3. When Thyme catches a group of middle schoolers getting high in the mall on NyQuil, she wonders what they have wrong in their lives that makes them want to get high. What reasons do Thyme and her friends have for getting high? Where do they look for happiness and fulfillment? Do you think that a different group of kids -- in a different city or from a different social class -- would have the same reasons for getting high? Would they choose the same methods? 4. Why does Thyme find Will so attractive? Why don't her parents approve of him? Is he a good boyfriend? 5. Discuss Thyme's friends, Lida and Suze. In what ways are they good friends to Thyme, and in what ways are they not? Is Thyme a good friend to them? Who do you think is the better friend? Who do you think is the better person? What is behind Lida's transformation from stoner chick to chic partyer? 6. Why does Dave's arrest have such a great impact on Thyme? Does she change as a person because of it? Does Dave change because of his arrest? How does his arrest impact the other characters? What other events in the story lead Thyme to make changes? 7. In what ways are the adults in the story responsible for what happens? What could they have done to keep Thyme from becoming an addict and a pusher? What do you think of Thyme's parents? Is one a better parent than the other? 8. Thyme's college essay was about what she really wants to do for the next few years. It's one of the few times she actually thinks about what she wants out of life. Why do you think she doesn't do this more often? 9. Having finished the novel, do you think that Thyme has really stopped taking and dealing drugs? Do you think she's a stronger person for choosing to got to college or is she just being swept along with the current? What would you think might happen if she took some time off? 10. Do you think Thyme is a good person in a bad situation or simply weak-willed? Do you feel she could have done things differently? 11. From reading the author's afterward, what events do you think inspired this novel? Do you think the author is actually referring to herself when she mentions the two people in her life? How has this novel impacted your own life? 1. 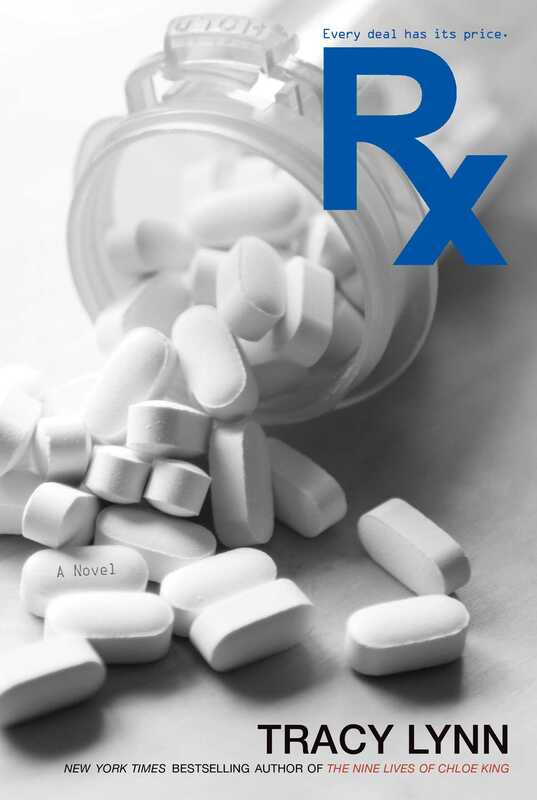 Because drug use is a major theme of this novel, choose one drug-related issue and follow it through different newspapers. Assemle clippings chronicling the recent history of popular perception on this issue..
2. The diagnosis and treatment of ADHD has an interesting history. Read up on this history, as well as any trends in treatment. See if you can find both sides of the story. 3. Write a short story about one of the supporting characters of the book. For example, write what happens to Dave or write about Meera's accident, but keep your story concurrent with the rest of the book. 4. What do you think will happen to Thyme now that she's in college? Write a short story about her freshman year and where you think her life is headed. 5. Thyme knows a lot about the side effects of the various prescription drugs that she gives to people. Choose one of the drugs in the book -- legal or otherwise -- and research how it affects your body.